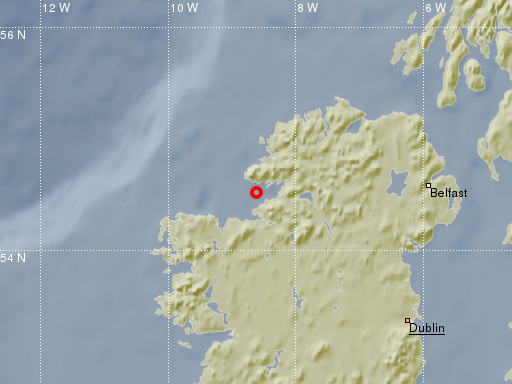 On the 7th April 2019 at 23:58:19 local time (22:58:19 UTC) an earthquake of magnitude 2.4 occurred in Donegal. 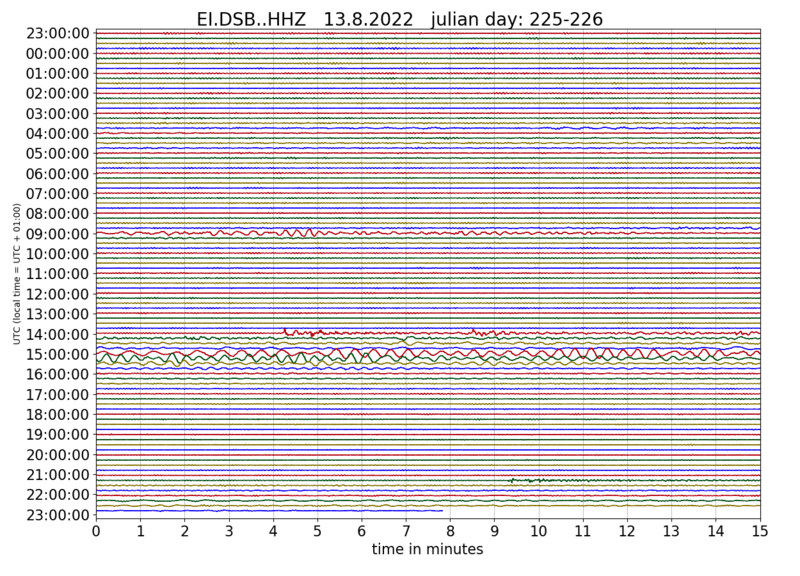 The location of the epicentre is 54.53N, 8.62W, see figure below. The event was felt widely by members of the public around the Killybegs area in the south west of Co. Donegal. The eartqhauke was detected automaticaly by the Irish National Seismic Network (INSN) which is operated by the Dublin Institute for Advanced Studies (DIAS) in co-operation with the Geological Survey Ireland (GSI). 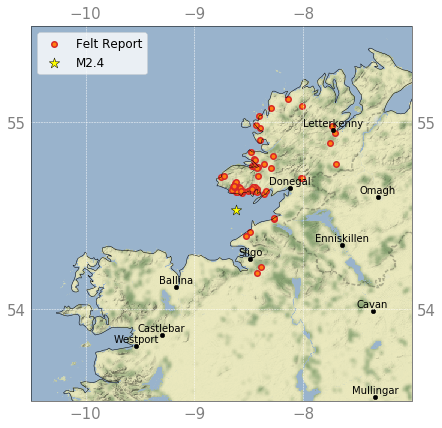 Events of this nature are not uncommon in the region, however earthquakes with magnitudes larger than 2 are recorded only every few years onshore Ireland or near it’s coast. 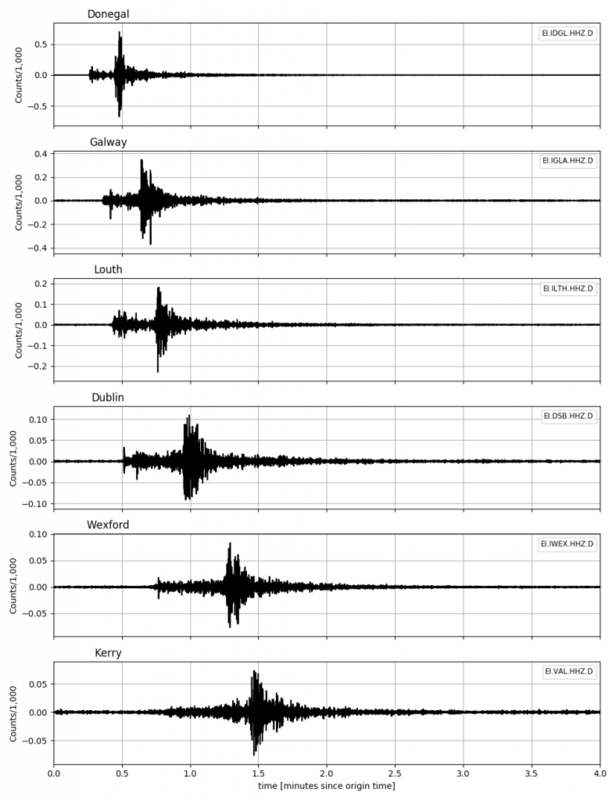 Follow this link to listen to a radio interview given on the 8th April by Dr. Martin Möllhoff, Director of Seismic Networks at DIAS, on the RTE Radio 1 programme Drivetime. 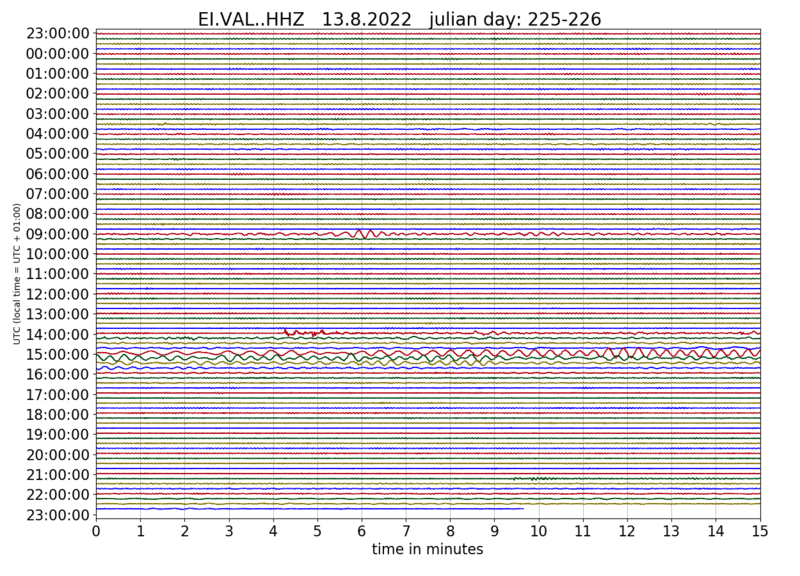 The INSN received more than 100 reports from members of the public who felt the earthquake. The map below shows the location of some of these reports, if you experienced this event please consider clicking here to fill out a small report. Thank you!